Work and play the farmer's way! Milk your cow, gather eggs from your hens and raise your crops. Have a picnic, play the fiddle and hit the hay! 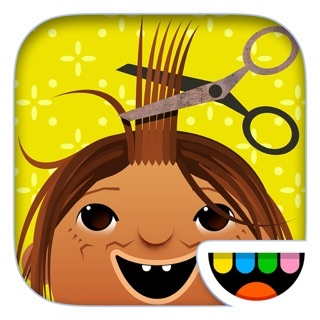 From sunup to sundown, Toca Life: Farm is fun on the farm! 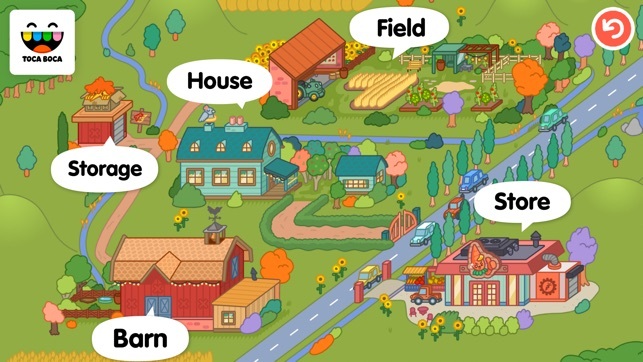 The four locations in Toca Life: Farm will give you everything you need to tell your farm stories. 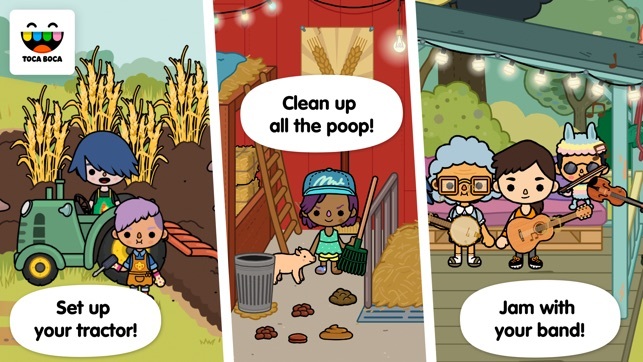 Tend to the animals in the barn — feed them and clean up their poop! Once you've taken care of the animals, head to the house, where you can have a meal then grab your banjo for an impromptu jam session. After a good night's sleep head out to the field to tend to your crops. Harvest your produce and head to the store, where you can sell your food, make new products and buy goods! Plant your seeds and find out how to make them grow! Tinker with your tractor to see what it can do! 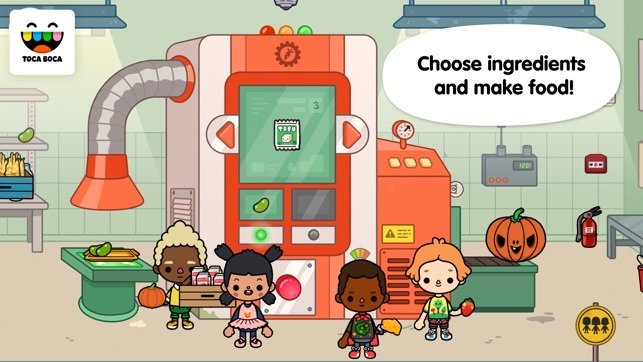 The food machine magically turns your raw ingredients into food: Use milk to make cheese, then use the cheese and corn to make cheese puffs! Use berries to make jam, wheat to make bread, and then use those ingredients to make donuts! Discover all the foods you can make and how you can make them! Use the in-app recording feature to create an original video! This feature records your voice as you’re telling the story, along with your characters’ movements. Create farm videos up two minutes long and save them to your camera roll to share later! - Explore four locations: barn, house, field and store. 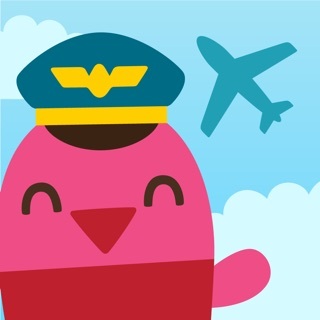 - Create stories for 29 new characters plus all the animals! - Feed the animals, milk the cow and gather eggs from your hens. - Bottle the milk from the milk tank. - Help the vet check the animals. - Let the pigs (or people!) wallow in the mud. - Clean up different types of animal poop! - Grab the banjo, fiddle, guitar or washbucket bass and jam into the night! - Pick fruit in your orchard. - Farm your crops from planting to harvest. - Use your tractor's different functions to farm faster!. - Fire up the food machine to turn your harvest into food. 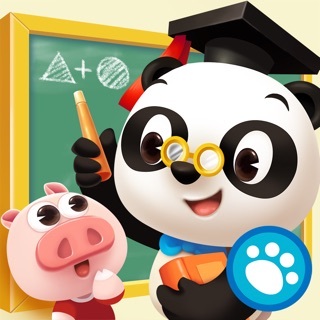 - Record your stories in the app and share with your friends! 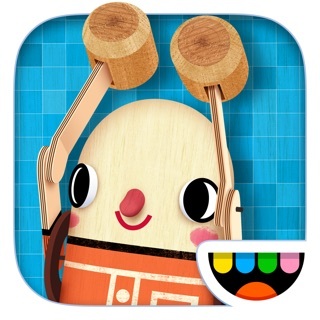 - No time limit or high scores — play for as long as you like! 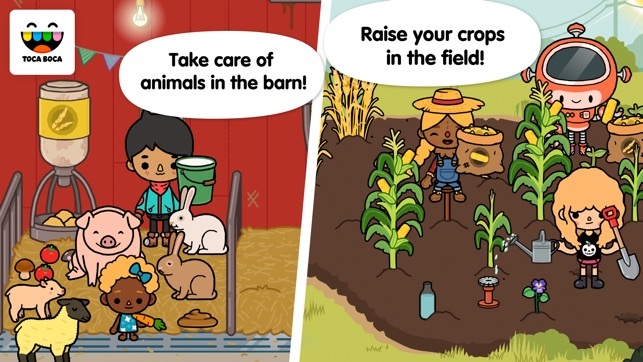 So many of you asked for a farm in the Toca Life series, and we're excited to give you what you want! 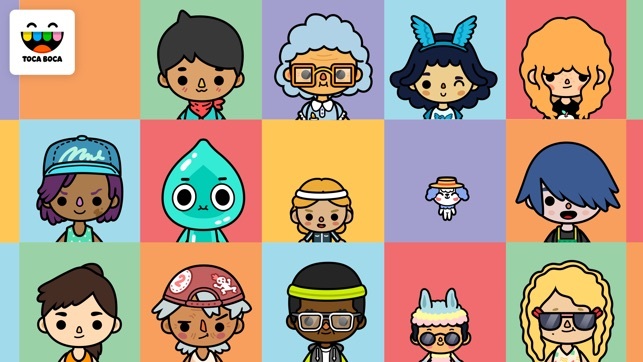 What do you want to see next in the Toca Life series? 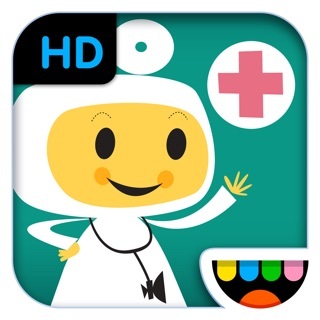 Share your suggestions by submitting a review, or share them with @tocaboca on Instagram & YouTube! 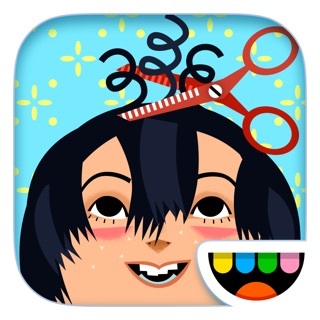 I love Toca Boca! It is super fun!!!!! I’m like a super fan and so is my friend and we have an idea, but first I have some issues about the games. (But remember, we love the games!) Firstly, it’s about tocat city. Sometimes the curtains get stuck and that really bothers me! I love playing with the theater, but when the curtains get stuck it reeeeeeeeaaaaaaaaaly annoys me! After I’ve set everything up and I mean everything and it takes a long time and I get frustrated! Also the videos won’t play now. Please make a Toca life police officer game. You could catch crooks and put them in a jail cell. There should be a five story building a level for a forensics lab, a level for a break room, (With coffee and donuts of course!) a chief of police office room, a room for meetings, and a room for headquarters. you should have a training course for officers and a training course for K-9 unit dogs. Also, in the forensics lab, have a machine that you can put clues into and have it process the clue and after the process is complete have it make a bing sound once the bing sound has been made have a character's face pop up on a screen that is on the machine and that will be the person that is the crook. Also could you please include two white female characters one with short brown hair with some side swooped bangs, purple and orange braces, a shirt that says sunshine unicorns cupcakes kittens flowers in rainbow metallic letters, some teal pants, and some teal shoes, and the other with a long brown ponytail some green glasses an athletic outfit and some neon green braces? Please? This would mean the world to me and my best friend! Please do it and if you don't please make the two characters featured in your next game!